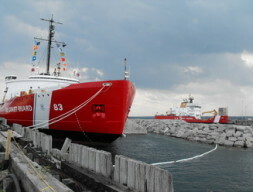 Decomissioned in 2006, this former U.S. Coast Guard cutter is now docked and open for tours. Mackinaw City. 231-436-9825, www.themackinaw.org.